This is the Novarossi 9901 'Super Strong' polished racing pipe (no manifold). This is the one piece variety and requires an off-road manifold, which attaches to the tuned pipe using three small springs (not included). The 9901SS pipe produces strong linear bottom end power delivery, and yields great run times. The 41021 header is recommended for buggy applications, and the 41005, 41001 or 41019 headers are recommended when increased top end power is desired. In an off road racing environment, many drivers prefer to use the Novarossi EFRA 9901 tuned pipe due to its impressive mileage and the power it produces. But with the brutal nature of 1/8 off road racing it can be difficult keep any tuned pipe free of damage. A damaged tuned pipe will hurt engine performance and can be costly to repair or replace. 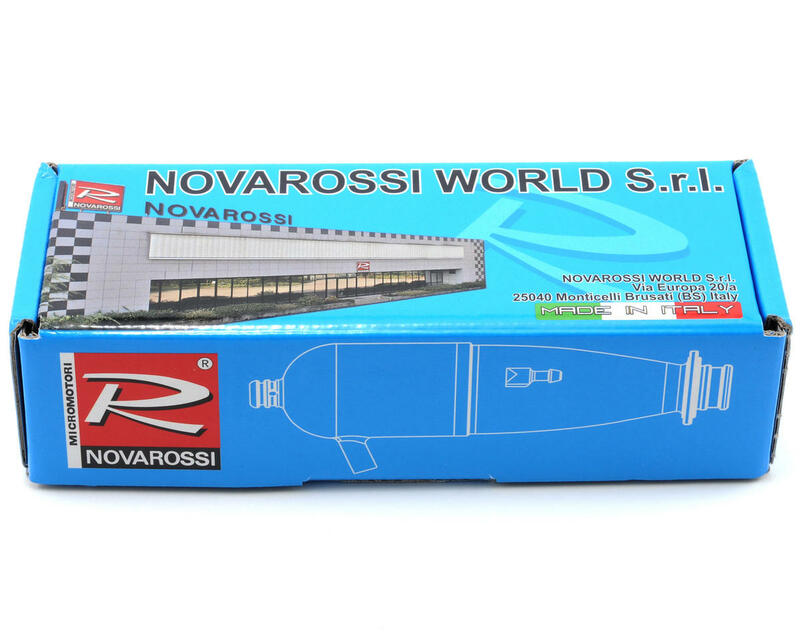 So now, Novarossi offers a "Super Strong" EFRA 9901 tuned pipe, which has been built with thicker material to take the abuse of serious off road racing. 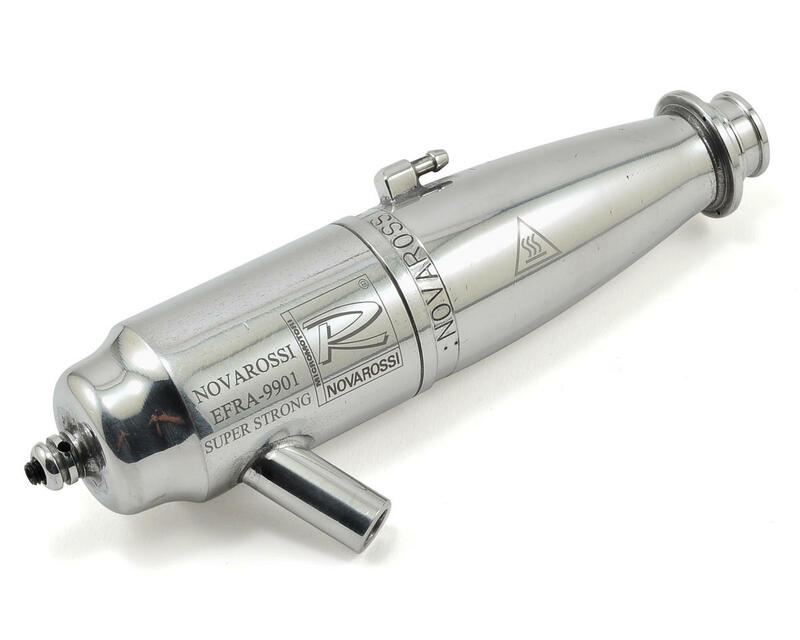 A positive side effect of the "Super Strong" pipe, is that it resonates at a different frequency, which makes this pipe quieter than the previous Novarossi 9901. NOTE: This is only the tuned pipe, and does not include a manifold, manifold gaskets or retaining springs which must be purchased separately. This pipe is made available as a separate item so you can choose either the long or short manifold, depending on whether you want better top or bottom end performance. This is an awesome pipe. Can't say anything bad about it. It brings out the full power band of the Novarossi Plus 21-5K. This combo is ballistic in a buggy (use 8.0 restrictor). For a smoother powerband, use the 7.0 restrictor. my least favorite Nova pipe, it's not terrible but certainly restricts the power from mid to top. It's kind of big too and does not really fit good in a buggy.